Your historic home is an architectural treasure, enhancing your neighborhood and street with its timeless artistry. 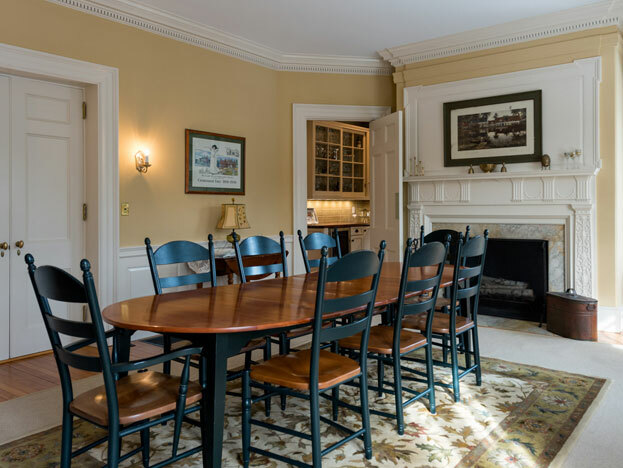 Because you take such pride in maintaining your home’s authenticity, finding a historic home painting contractor with expertise in painting and restoring older structures is essential. 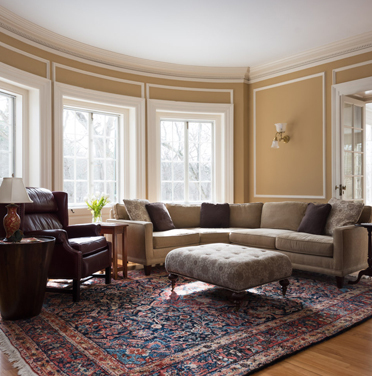 At Arch Painting, we’re as passionate as you are about preserving your home’s traditional charm. In addition to superb craftsmanship and attention to detail, you can rely on us to provide exceptional service at every stage of your project. What Can We Do for Your Historic Home? Exterior Painting and Restoration: Before painting, our professionals prepare your home’s aging exterior carefully to protect its health and appearance. This includes scraping, sanding, and chemically peeling old paint; power washing; caulking gaps and cracks; and replacing deteriorated wood shingles, clapboards, shutters, and other features. We are also experienced in preparing and repainting surfaces coated with lead-based products. Interior Painting and Restoration: Interior painting for antique buildings often means painting or papering over plaster, which cracks as the building settles and results in moisture stains. Arch Painting remedies these problems by filling and sanding cracks and applying bacteria-resistant primer over discolored areas. Need light carpentry renovations to provide a flawless foundation for your paint? We’re happy to accommodate. Re-glazing wood-framed windows: Let us preserve the functionality, appearance, and efficiency of your home’s older windows by re-glazing their panes. Wallpapering: We have extensive experience removing and installing a variety of wallcoverings, including those made with natural fibers such as silk and cotton. Wood refinishing and restoration: Arch Painting can restore your timeworn wood panels, moldings, baseboards, and trim to their original glory. Chemical stripping: Through chemical stripping, we can remove paint that has built up on your home to reveal previously lost period details. Choose Your Historic Home Paint Colors: Create a custom color palette that fits your home and your style with an in-home consultation from the color experts at Sherwin-Williams, compliments of Arch Painting.